Whether it is a sunburn in the summer, or itchy dry winter skin, this lotion bar is soothing and healing. 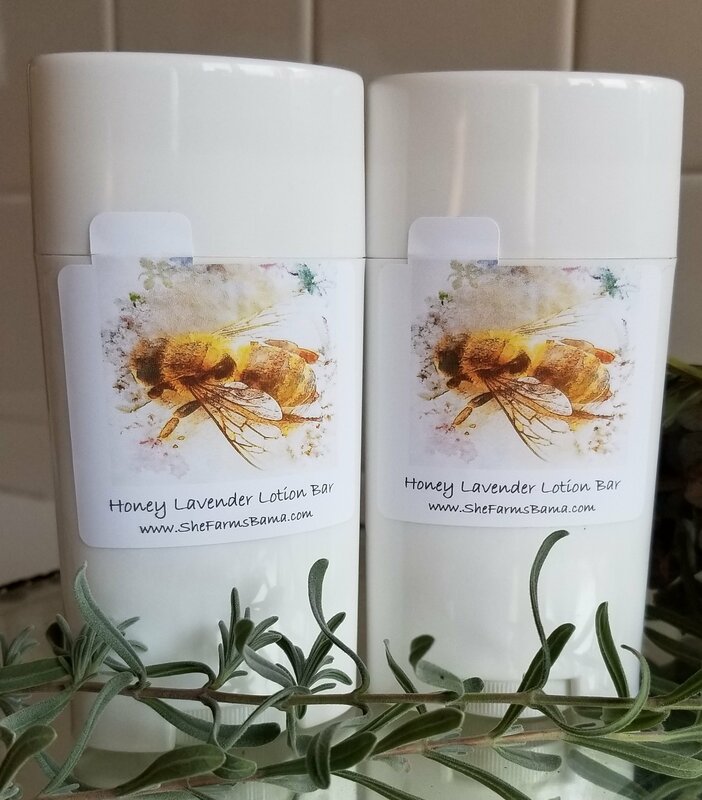 Made with beeswax harvested from my hives in north Alabama, this lotion bar also contains shea butter, fractionated coconut oil, and lavender essential oil. Thank you for supporting my honeybees!